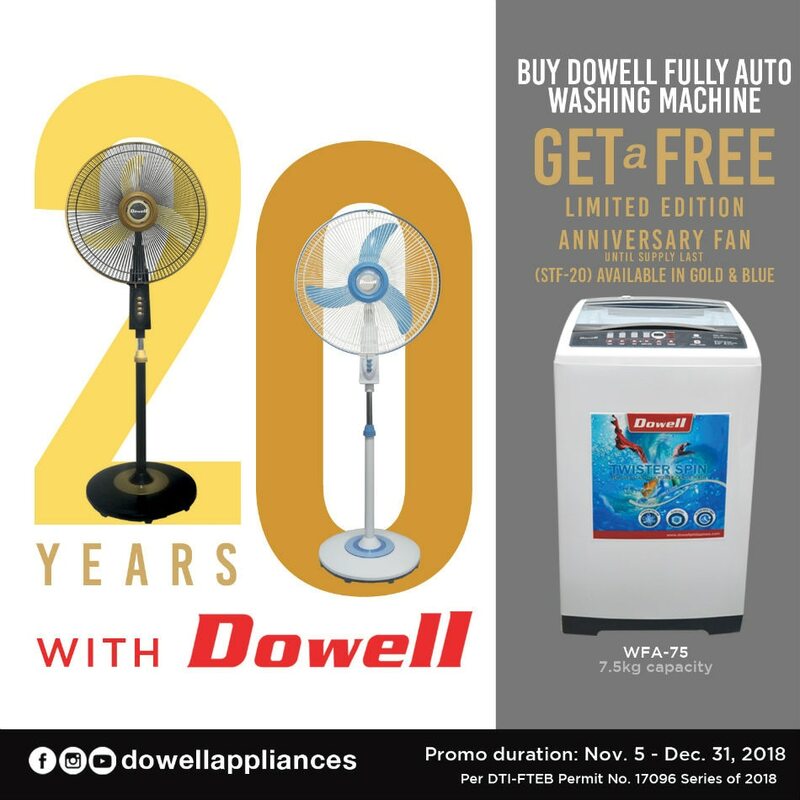 Dowell is celebrating its 20th anniversary. And certainly in a cool way. 7.5-kg capacity fully automatic washing machine. The promo will last until December 31, 2018. The STF-20 comes in gold and black, and blue and white colors. 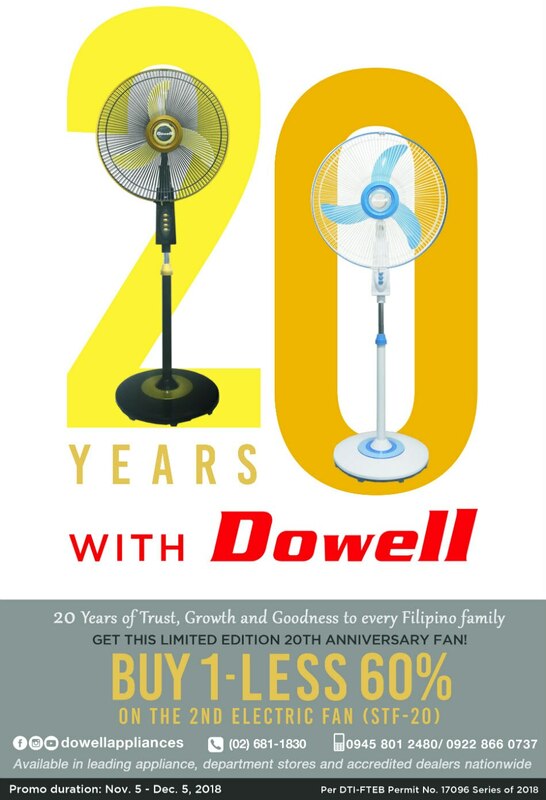 This limited edition anniversary fan is thermal fuse-protected and has a high performance three-speed motor, with oscillating motion. It has a banana blade that makes up its elegant design. 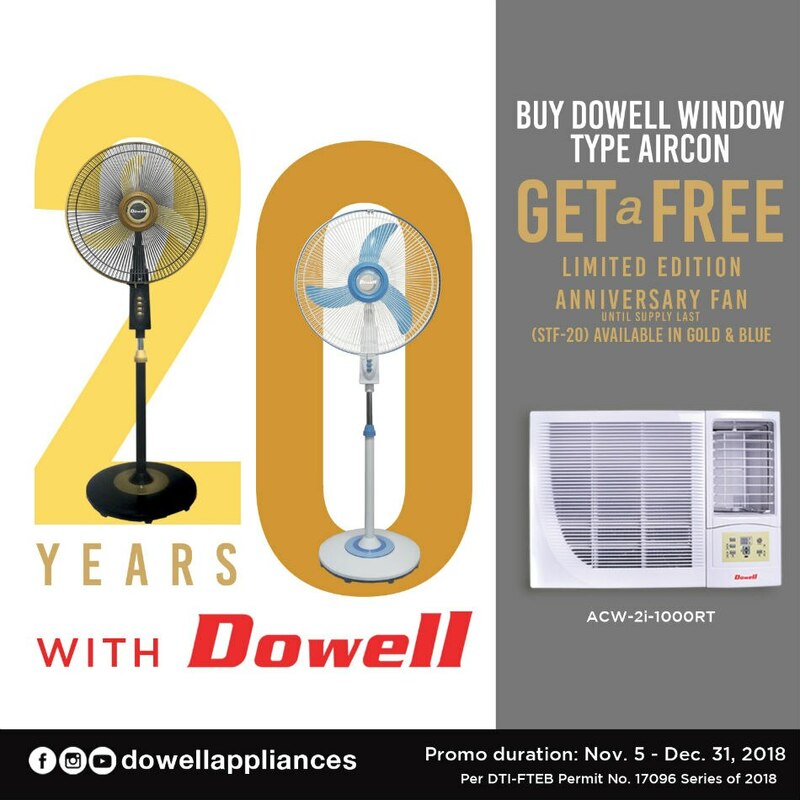 Customers can also buy the limited edition anniversary fan at 60% off on the second purchase of the same model until December 5, 2018. 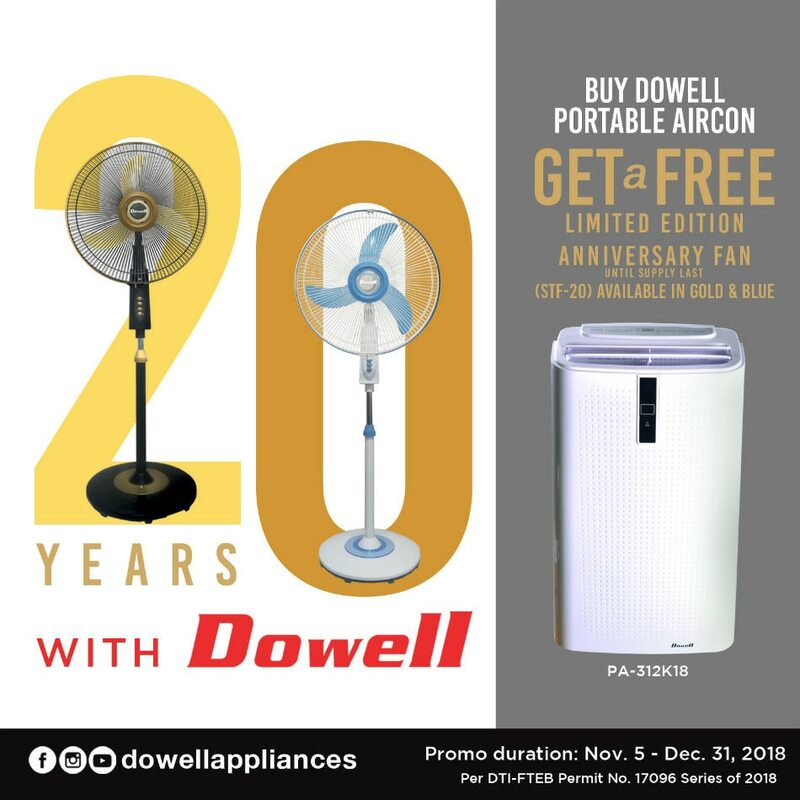 Make this holiday a cool one with Dowell's 20th anniversary celebration promos.